Janina’s “Mini Rock and Roll Masterclass” was a great success! 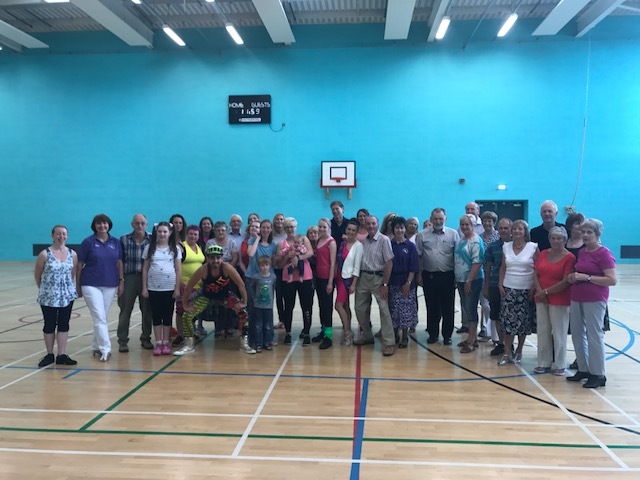 The Danceathon was held at The Borderville Centre in Stamford on Sunday 23rd July to help raise money for Anna’s Hope, Clic Sargent, East Anglian Children’s hospice and Beads of Courage. Pupil’s from Janina’s Improvers and intermediate classes came along to offer their support and we welcomed new people that had never set foot on a dance floor, let alone had a go at Rock and Roll! By the end of the 45 minutes, everyone was Rock and Rolling away to music and were left wanting to know when Janina would be teaching her next masterclass!